Born to Józef and Marianna Puch, poor working class farmers, Karol as a child was considered extremely intelligent and extremely unruly. He early felt a call to the priesthood, and at age 13 began studying at the Franciscan seminary in Lviv (in modern Ukraine). He joined the Franciscan Friars Minor Conventual in 1928 at Lodz-Lagiewniki, Poland, taking the name Herman and making his solemn profession in 1932. Brother Herman continued his studies at the Pontifical University of Saint Bonaventure in Rome, Italy, and was ordained a priest in Rome on 5 July 1936. Father Herman continued his studies at the Jan Kazimierz University in Lvov, earning a Master's degree in Theology. Served as priest in Franciscan Shrine of Our Lady of Sorrows in Radomsko, Poland, then the church and Franciscan monastery of the Assumption of the Blessed Virgin Mary in Vilnius, Lithuania. In 1940 he was assigned to Piaršai (in modern Belarus), assisting Blessed Józef Puchala. The two worked to care first for the people who were being transported to Siberian work camps by the Russians, and then to concentration camps by Germans. Tortured, mutilated and then murdered while ministering to people who were to be murdered in retaliation for partisan attacks against the Nazi occupiers. Martyr. As a young man, Peter lived a wild, profane, and dissolute life. Around the age of thirty his parents died, he came into his inheritence, contemplated his parents’ deaths, and came to understand the emptiness of his life; Peter had a conversion experience, sold all that he had, gave it away to the poor. He even sold himself into slavery as an act of penance and to get more to give away, but his "owner" freed him. He became a penitent beggar, an urban hermit who devoted himself to the care and cleanliness of the cathedral in Foligno, Italy; he wore sack cloth, lived in its bell tower, and slept on the steps, open to the elements. He had a great dedication to the spirituality of Blessed Angela of Foligno and Saint Chiara of Montefalco. Made several barefoot pilgrimages to Rome and Assisi, Italy. 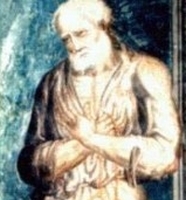 He was so odd, so open about his penance, and attracted so much attention from the faithful that the Inquisition investigated him; they were particularly concerned with his habit of praying while staring at the sun; but they determined that his was an orthodox faith, just extreme in its penance. He is considered one of the "mad saints" or "holy idiots" or "fools for Christ". Son of Robert Plessington, a royalist Catholic, and Alice Rawstone. His family was persecuted for both their religious and political beliefs. John was educated by Jesuits at Scarisbrick Hall, then at the Royal College of Saint Alban at Valladolid, Spain, and then Saint Omer's monastery in France. Ordained in Segovia, Spain on 25 March 1662. He returned to England in 1663 to minister to covert Catholics in the areas of Holywell and Cheshire, often hiding under the name William Scarisbrick. Tutor at Puddington Hall near Chester, England. Imprisoned for two months, and executed for the crime of priesthood. Martyr. The son of Fortunatus. Baptized in Rome, Italy. 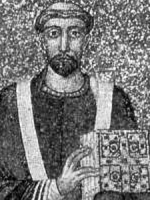 Archdeacon under Pope Anastasius II. Chosen 51st pope in 498. An anti-pope, Laurentius, was elected the same day by a minority with Byzantine sympathies and with the support of Emperor Anastasius; King Theodoric the Great supported Symmachus who ascended to the throne. Any sort of campaigning for the papacy during the life of a sitting pope was outlawed by canon law. In 501, Senator Festus, a supporter of Laurentius, accused Symmachus of assorted crimes; the pope refused to answer the charges, claimed that secular rulers had no jurisdiction over a pope, and the Synodus Palmaris of 23 October 502 confirmed this decision. The schism with Laurentius continued for years, and at one point Theodoric installed the anti-pope in the Lateran Palace and proclaimed him the legal pontiff; Theodoric later decided that Laurentius was too Byzantine, and had him removed. During all the turmoil, Symmachus spent largely to support bishops of Africa who were persecuted by the Arian Vandals. He also gave aid to northern Italians who suffered from the invasions of barbarians. Baptized on the day of his birth. Entered the minor seminary in Lviv (in modern Ukraine) in 1924. Franciscan Friar Minor Conventual, taking the name Achilles, and making his solemn vows on 22 May 1932. Priest, ordained on 5 July 1936. Served in the Franciscan convents in Grodno and Iwieniec in Poland. In early 1940 he moved into parish ministry in Pierszaje, Poland to help with a shortage of priests who had been arrested or fled ahead of arrest by the Gestapo during the Nazi occupation and persecutions of World War II. Arrested, tortured and eventually murdered by the Gestapo. Martyr. First century missionary to Colossae, Laodicea And Hierapolis. Bishop of Colossae. Martyr. Saint Paul mentions him. Highway bandit in Egypt. Around the the year 297, he and two fellow thieves were brought to Christianity by a desert hermit, and Kragon became a monk. During the persecutions of Diocletian, Kragon left his hermitage to travel the region and preach Christianity. He was imprisoned several times and tortured, but suffered no damage from it, and never stopped preaching. In Samannüd he was dragged from the torture chamber to appear before the vizier Justus; Kragon brought Justus, his family and guards to Christianity. He was finally imprisoned and executed for his faith and work. Martyr. Young layman in the apostolic vicariate of Southeastern Zhili, China. A teenager at the outbreak of the Boxer Rebellion, John publicly declared his Christianity, for which the rebels mutilated and killed him. Martyr. Son of Saint Elisabeth Qin Bianshi Elisabeth in the apostolic vicariate of Southeastern Zhili, China. Martyred as a teenager in the Boxer Rebellion. Born to the nobility, one of eight children born to Viscount Richard II of Millau and Rixinde. Benedictine monk at the Saint Victor monastery in Marseilles, France in 1061. Abbot of Saint Victor in 1064. Friend of Pope Gregory VII, Saint Hugo of Cluny, and Saint William of Hirschau. Zealously promoted the Cluniac reform. Created cardinal in 1065 by Pope Alexander II. Papal legate to Germany in 1077. Papal legate to Spain in 1078. Married lay woman in the apostolic vicariate of Southeastern Zhili, China. Mother of Saint Simon Qin Chunfu. Martyred in the Boxer Rebellion. Mercedarian friar. Bible scholar. Provincial of the Order in Castile. Advisor to Spanish kings. Sent the first Mercedarian missionaries to America after recieving permission from Pope Alexander VI in 1493. Travelled to many churches in Spain, working to revitalize the faith. Known for his endless charity to the poor. Eighth century hermit at the monastery of Saint Sabas. The Muslim Caliph greatly admired him, and tried to convert him to Islam. Michael refused, so his admirer had him executed. Martyr. Raised Muslim during the period of Moorish occupation of Spain. Married. Widow. Convert to Christianity. Nun at Cuteclara for 20 years. She was eventually denounced as a Christian by her family to Muslim religious authorities and killed for the crime of converting. Martyr. While in Italy as a diplomatic envoy, he visited the monastery of Saint Vincent near Benevento. There he answered a call to religious life and became a monk, and later served as its abbot. Son of the Prince of Ryazan. Imprisoned, tortured and murdered by pagan Tatars who accused him of insulting their gods. Martyr. Tenth bishop of Trier, Germany. Mercedarian friar. Bishop of Lycaonia, Asia Minor. Three Christians tortured and martyred together in the persecutions of emperor Julian the Apostate and governor Almachio. We know nothing else about them but the names - Macedoniuis, Tatian and Theodule.